With excellent local produce and fantastic producers, Devon’s food and drink is known for being outstanding. 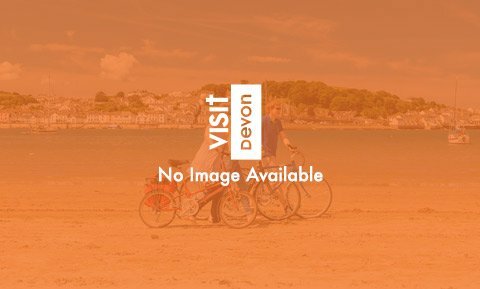 With chilli farms and dairies, coffee roasters and micro-brewers, vineyards and blueberry farmers, as well as excellent restaurants, cafés, delis and farm shops, Devon’s food is one of the key reasons why many people love to come and visit. You won't want to miss out on the fresh sea food of North Devon's coastline. More and more big-name chefs are setting up in the area, inspired by the quality of the raw materials they can work with, to create truly memorable meals. Michael Caines MBE, one of the UK’s most influential and respected chefs, is the chef/ patron at the Michelin- starred Lympstone Manor, his personal project where his excellent fine dining is one of the draws to staying in this beautiful country house hotel. If that wasn't enough to bring you to the region, many of Devon's food and drink businesses have won accolades at regional and national level. Devon food festivals and events take place throughout the year, so at Easter you could spend the weekend at the Exeter Festival of South West Food and Drink, The Shops at Dartington have a food fair in May, in August you could visit events at the South Devon Crab Month or Flavour Fest in Plymouth, and in October try Barnstaple's North Devon Foodfest or Dartmouth Food Festival. Or if you’re only here for a short stay, you can source the best in fresh, organic ingredients and produce from the Devon farmers’ markets that take place practically every weekend - or eat amazing food right where it's cooked at street food events across the county. The secret of Devon’s culinary success is in the landscape. It’s served by clean, temperate waters that offer some of the best seafood and fish in the British Isles, and the lush, fertile soil produces some of the best vegetables and provides excellent nutrition for grazing animals. Devon farmers take their responsibility to the environment very seriously and there are an ever-increasing number of organic and environmentally responsible farms supplying local restaurants. In turn, these establishments are able to gain accreditation and awards from bodies such as the Soil Association, certifying that the ingredients they use are organic and as fresh as possible. It’s not just unusual fruit and vegetables that are getting good press, either. Unusual meats are being farmed here too, such as venison and ostrich, alongside traditional breeds such as Red Devon Cattle. And where there are cattle, there’s milk; Devon is justly famous for its clotted cream and delicious ice-creams, but it is steadily gaining recognition for a range of traditional and unusual cheeses too - make some time to hunt out some Blue Vinny. All this food will need something delicious to accompany it, so remember to check out the local ales, wines (we've some very successful vineyards) and, of course, cider. Devon is famous for its traditional scrumpy, but there's a more refined side to West Country tipples too. And with dozens of micro-breweries across the county, real ale lovers are in CAMBRA heaven, with plenty of local brews to choose from. For something a little stronger, visit the Plymouth Gin Distillery (with the Tanners brothers' Barbican Kitchen next door), or if you’re teetotal there’s plenty of freshly produced (non-alcoholic) organic apple juice to try. It's not just about fine-dining and top end restaurants (though we do those very well). In Devon's villages, towns and cities you'll also find laid-back restaurants, pop-up restaurants, celebration restaurants, restaurants in pubs, restaurants overlooking beaches ... and even a restaurant on a beach. On beaches, clifftops, riversides and looking out over rolling countryside, it would be easy to plan a whole trip around visits to great Devon cafes and tearooms ... in fact, why not take a look at our selection and do just that! If you appreciate a decent cider, good ale, well-chosen wine or glamorous cocktail then we can point you in the right direction!